A new report exposes how the New England and North West has lost hundreds of public sector jobs in the past five years. Census data from 2011 to 2016 has been analysed by The Australia Institute (TAI), showing regional NSW was missing out in an estimated $500 million a year in foregone wages and salaries from the impact of government downsizing policies. Media has reported that the Glen Innes Severn council area lost almost 120 public sector jobs, shrinking from 640 in 2011 to 542 in 2016, a drop of 18.44 percent, making it one of the worst hit regions in the state. Pathfinders CEO, Alan Brennan, today assured the Glen Innes community that Pathfinders was committed to staying in Glen Innes and expanding its programs. “As a result of the closure of Support Your Path, there has been a misunderstanding that Pathfinders itself will no longer deliver services to the community. “Nothing could be further from the truth – in fact our plans for the old Royal Hotel continue at a pace and I look forward to seeing these premises become a hub for the delivery of our suite of programs as well as a centre for the community. Specialist Homelessness Services (SHS) including our Women and Children’s Refuge and Transitional supported accommodation services. 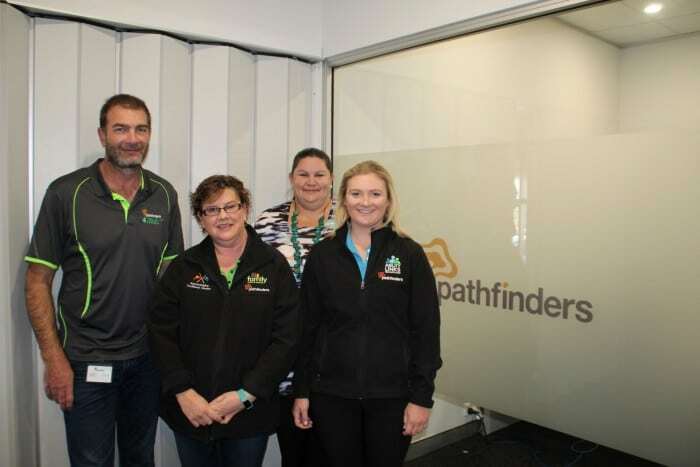 Pathfinders Team Members – Tim Chard SHS, Leanne Brown FRS, Meagan Page L2L, India Hutchinson AL. Good news for Glen Innes as Funding for Pathfinders’ program Ability Links gets renewed for an additional 12 months. Pathfinders welcomed the NSW Government decision to continue funding the Ability Links NSW program through to June 2019. A recent independent evaluation report, conducted by Ernst & Young, shows that every dollar invested in the regional program generates $3.60 in benefits, translating to more than $42 million in economic benefits and more than $11 million in social benefits. The report shows that not only does Ability Links NSW and the Pathfinders model provide cost savings that free up government funds, the program also supports government to achieve disability inclusion policy goals that make our communities better places for us all to live in. Ability Links NSW supports people with a disability, their families and carers to live the life they want, as valued members of their community. It does this through linking people with their local community. Local Linkers work closely with participants and their families and carers to support them to fulfil their goals, hopes and dreams. Whether participants are in to sport, education, volunteering, or other activities, they remain at the centre of decision making about how they want to lead their life. Ability Links NSW is for people with a disability aged 9-64 and carers and families of people with a disability. 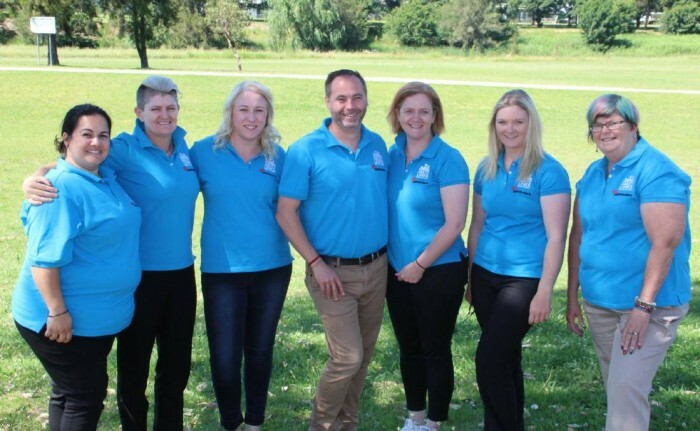 Linkers: Lisa Waters, Rebecca Browning, Rhiannon Summers, Ability Links Coordinator Brett Pischke, Kellie Stewart, India Hutchinson and Jill Skinner. To reaffirm Pathfinders commitment to Glen Innes and the wider community a Family Fun Day will be held on Saturday 16th June from 10am to 2pm at 371 Grey Street. The Family Fun Day will provide a free BBQ, jumping castle and fun activities for the kids. It will also be a Pathfinders Open Day, where community members will be able to find out more about the services provided to Glen Innes. If you would like more information on the Family Fun Day contact India Hutchinson on: 0400598754.